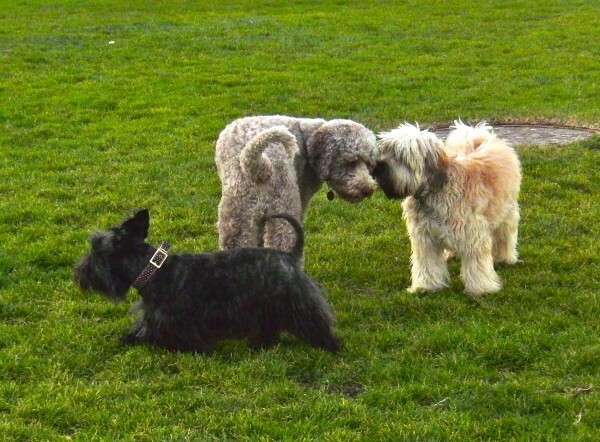 These three (plus a couple others) were all playing nicely together in a local dog park. 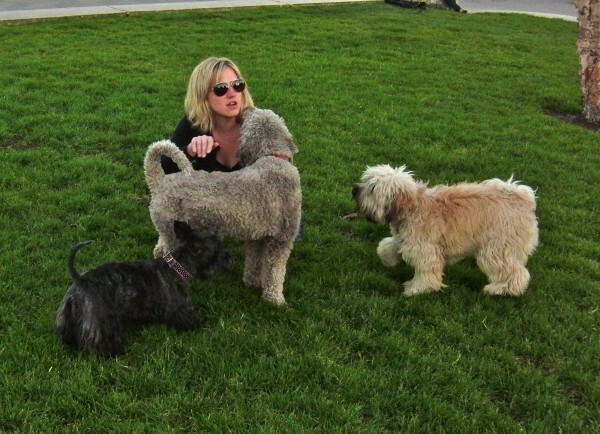 Edit: Autumn and Anne (in the comments) both agree: third dog is a Soft-Coated Wheaten Terrier. I can never remember what those look like, although I do like calling them ‘Wil Wheaten Terriers’. Unshaved poodles are wild. But the Beatles haircut dog takes the cake. The thing directly behind the poodle is… an extra bonus Scottie! Plenty of hugs to go around. 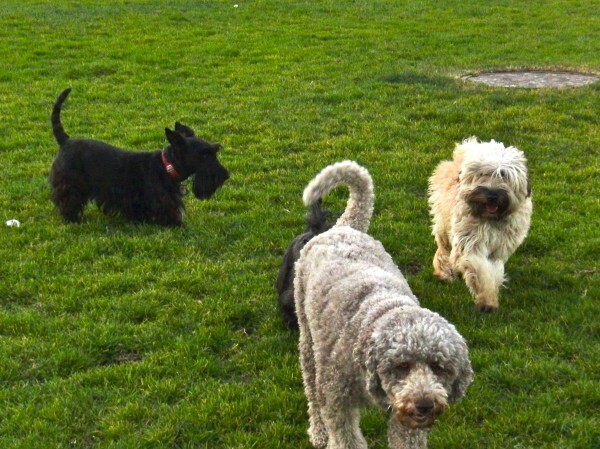 This entry was posted in Dogs out of SF and tagged Embarcadero, Scottish Terrier, Soft-Coated Wheaten Terrier, Standard Poodle. Bookmark the permalink. “George Harrison” there is a Soft Coated Wheaten Terrier, I think. The Snellings have one, in a less beatle-ish cut. I know that muzzle anywhere!! !